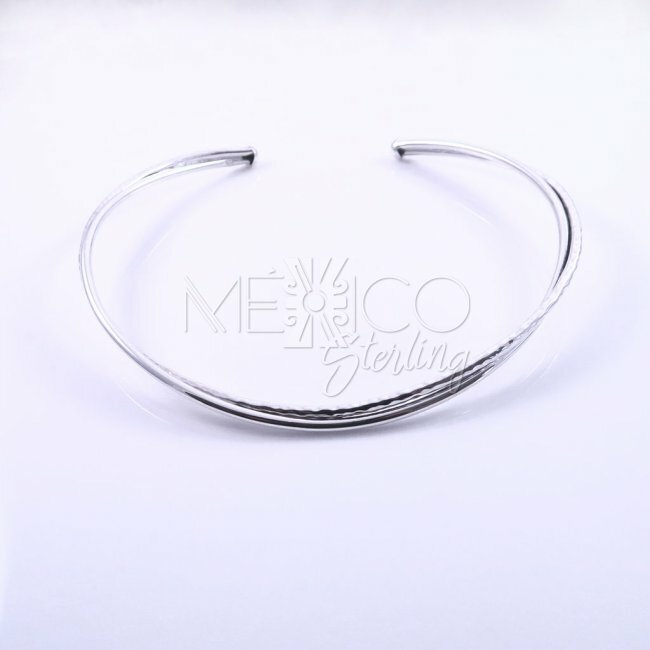 Taxco Silver Twisted Reality Choker [CHK3333] - $72.00 : Mexico Sterling Silver Jewelry, Proundly from Mexico to the world. 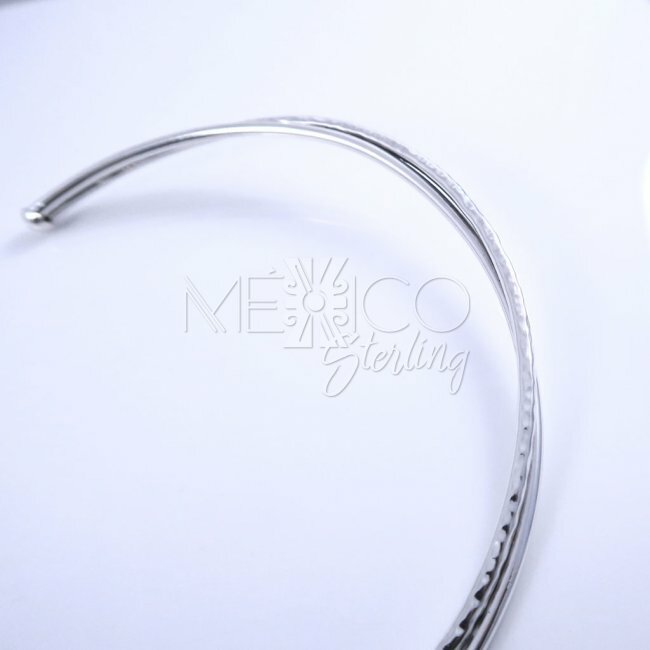 Dimensions: W: 1/4" Inside Circumference: 16"
Modern Taxco solid silver choker with a very innovative design, it is the combination between 2 metal finishes, a polished surface and a hammered one. 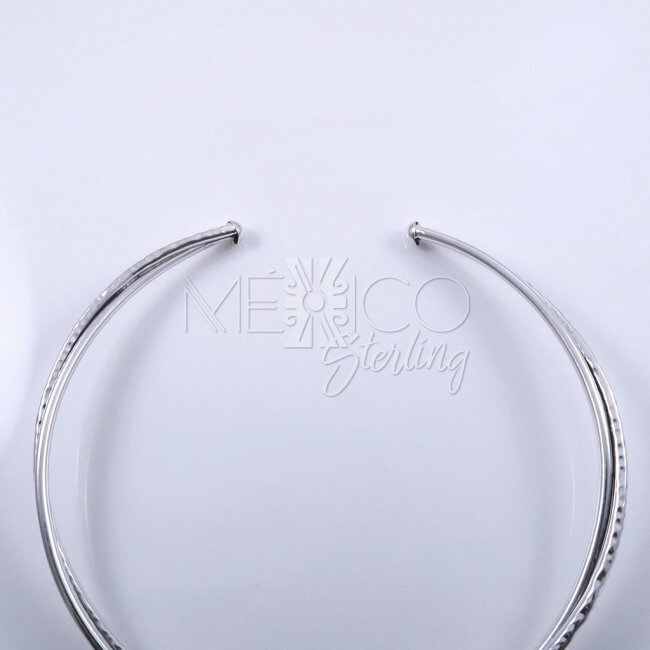 Both chokers are interlaced and twisted giving this silver choker a very special and fashionable look. 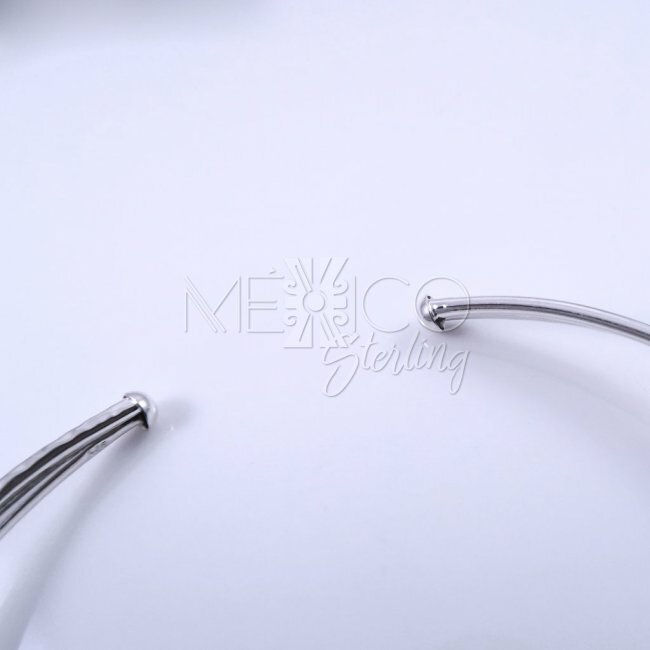 It was completely handmade with excellent workmanship and nicely finished. 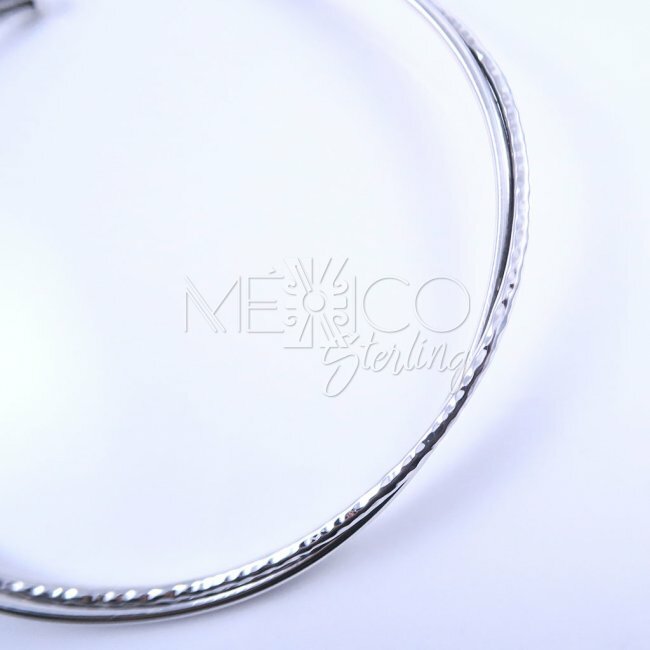 It is also solid silver, making it substantial in weight for its size and built, with a total of 34 grams. 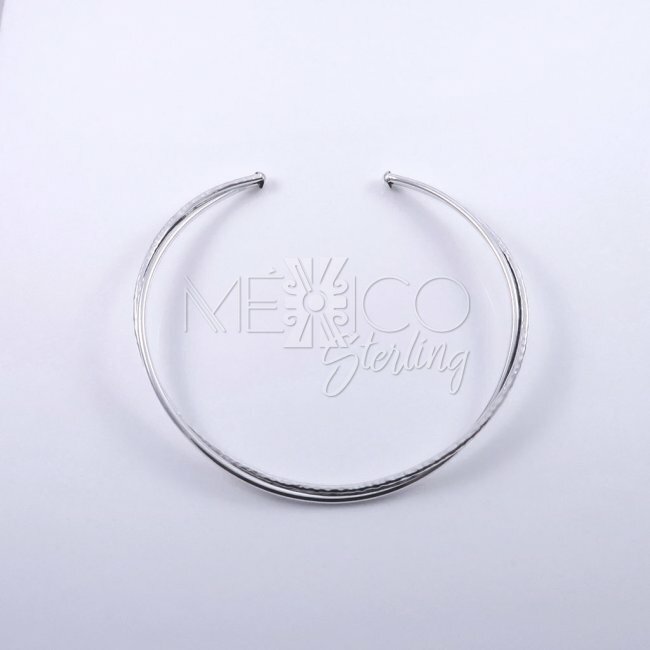 Fashion tip: It makes a wonderful jewelry ornament for a deep neckline or completely the opposite, a turtle neck. 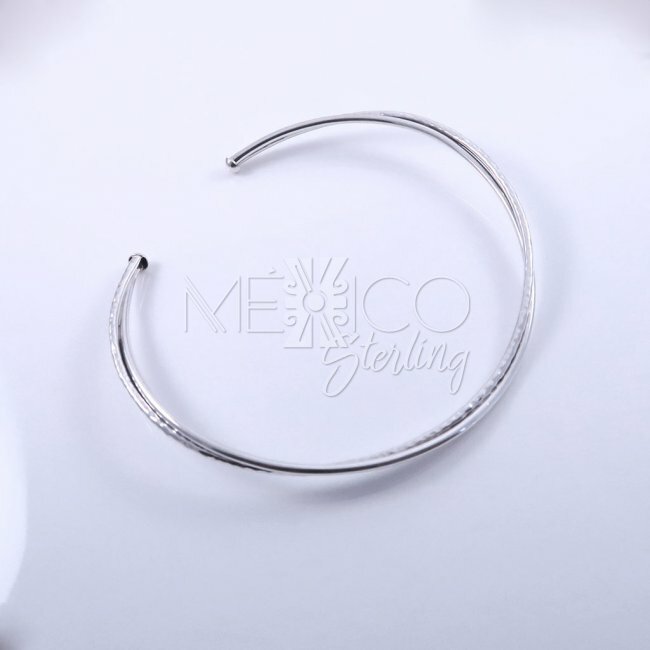 And it is best to wear it with a solid color, to give it a chance to shine. 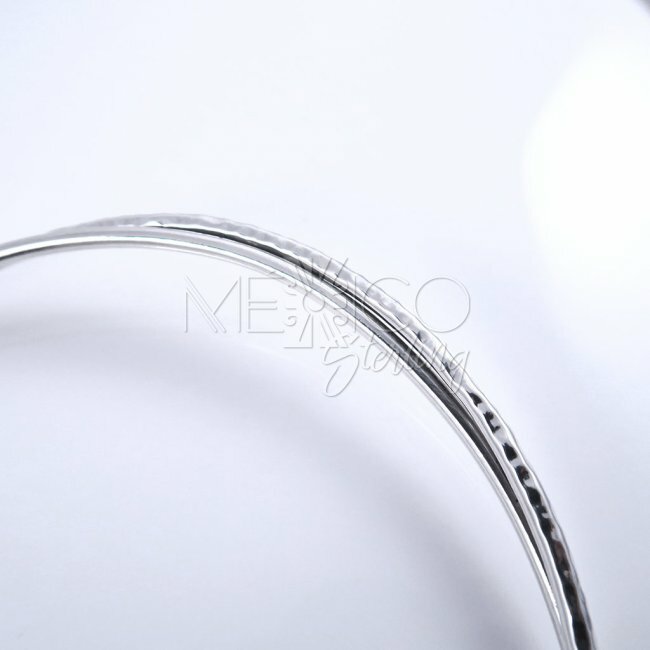 Please take a look at the extra photos, for more details on this wonderful silver choker.